State income tax refund. If you got a state or local income tax refund, the amount may be taxable. You should have received a 2014 Form 1099-G from the agency that made the payment to you. If you didn’t get it by mail, the agency may have provided the form electronically. Contact them to find out how to get the form. 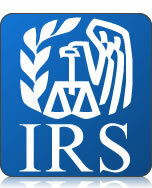 Report any taxable refund you got even if you did not receive Form 1099-G.
Due to a number of recent changes in the law, taxpayers are currently facing many questions connected to important issues such as healthcare, home office use, capital gains, investments, and whether an individual is considered an employee or a contractor. Financial advisors are continually looking for competitive information to help them provide the best answers for their clients and to obtain new clients. National Underwriter’s Tax Facts series is the only resource written specifically for the financial advisor and producer providing fast, clear, and authoritative answers to pressing questions, and it does so in the convenient, timesaving, Q&A format for which Tax Facts has been famous over 50 years. Anyone interested can try Tax Facts Online risk-free for 30 days, with a 100% guarantee of complete satisfaction. Call 1-800-543-0874. This entry was posted on March 16, 2015 at 01:09	and is filed under Taxation. Tagged: income tax, IRS. You can follow any responses to this entry through the RSS 2.0 feed. You can leave a response, or trackback from your own site.